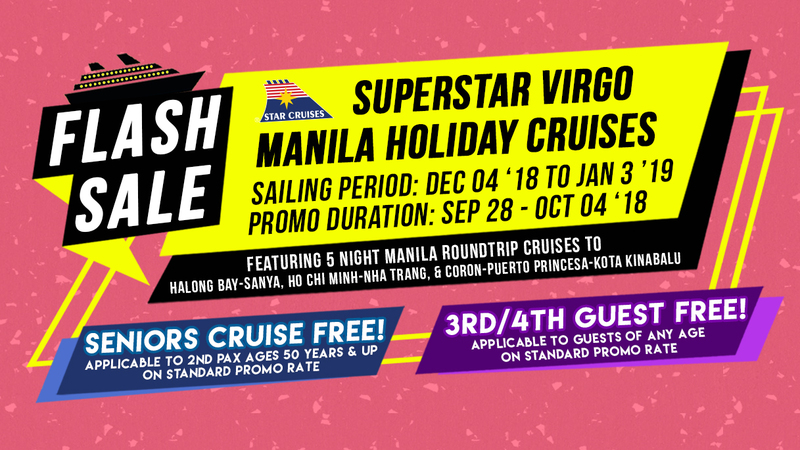 Tekkie Pinas: Star Cruises releases an “SSV Flash Sale” for one week, exclusive for SuperStar Virgo Holiday Concept Cruises! Holidaymakers were in for a festive treat, with SuperStar Virgo, the flagship of Star Cruises announcing her return to well-loved Manila homeport in December with holiday concept cruises. 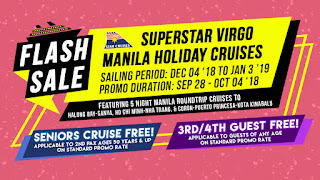 With enticing family-friendly offers, Filipinos found more reasons to take their vacations and parties aboard with spectacular line-up of theme cruises on SuperStar Virgo and 5-night journeys to the sandy beaches in Southern China, as well as idyllic destinations in Vietnam, Palawan, and Kota Kinabalu. 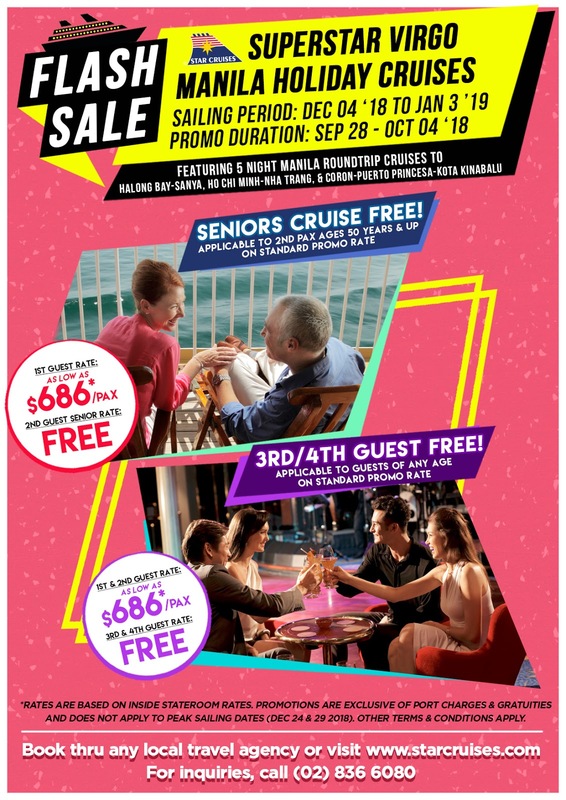 And as an added surprise treat, Star Cruises drops a week-long “SSV Flash Sale”, bringing back ever-popular promotions for seniors and families on standard promotional rates exclusive for September 28 to October 4, 2018 bookings only! 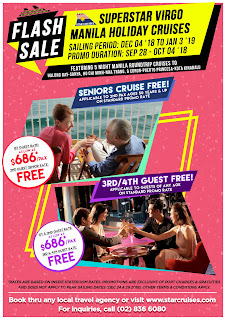 For as low as USD 686 per paying pax, Filipino travelers can choose to bring along senior members of the family, aged 50 and up, as the 2nd guest per cabin to be able to avail of the promo “Seniors Cruise Free”. As another option for bigger families and same starting rate for paying pax, guests can avail of “3rd/4th Guest Free” which are applicable to guests of any age. Booking for the promotion can be through any local travel agency or by visitingwww.starcruises.com. For inquiries, call (02) 836 6080 for more information.